LAHORE: Eight judges nominated to the Lahore High Court (LHC) by the Judicial Commission of Pakistan (JCP) have been appointed without parliamentary oversight since parliamentary committees, including the Parliamentary Committee on Judicial Appointments, are yet to be formed, Pakistan Today has learnt. According to sources, a JCP meeting under the chairpersonship of Chief Justice Mian Saqib Nisar was held on October 2, wherein the commission recommended names of Anwaarul Haq Pannu, Asim Hafeez, Risaal Syed, Shakeelur Rehman, Sadiq Mehmood Khurram, Farooq Haider, Ch Waheed Khan and Ahmad Raza for new LHC judges while the panel did not endorse Uzma Chughtai, Shakir Ali and Tafazzul Rizvi. Normally, the names should have been vetted by the Parliamentary Committee on Judicial Appointments through in-camera hearings, the records of which would then be published. With the passing of the 14 days and the committee yet to be formed, the judges will stand appointed. The issue was pointed out by High Court Advocate Umer Gillani, who said that in current times, parliamentary silence on such issues was deadly. Meanwhile, Supreme Court Advocate Majid Bashir confirmed that the nominations stand appointed as per the constitution. “The goal of this committee was to involve parliament in this process and make it more streamlined. This committee should have been one of the first to be constituted because of the urgency of the matter,” he said. If the committee had been formed, then it would have had the power to block names, but the nominations will now simply go to the President for confirmation. Meanwhile, Shahbaz, the spokesperson of the LHC, said that the notification of any new appointments to the provincial high court was yet to be made. “The notification will be issued from the LHC only after the president has approved and signed the appointments, as it will be at that point that the judges will assume office,” he said. 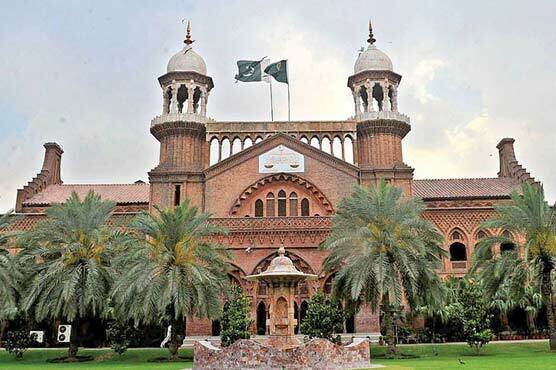 Other than the eight judges nominated to the LHC, back on October 2, the LHC has also proposed confirmation of six LHC additional judges, namely Justice Mujahid Mustaqim Ahmad, Justice Asjad Javaid Ghural, Justice Jawad Hassan, Justice Muzammil, Justice Tariq Saleem Sheikh, and Justice Chaudhry Abdul Aziz. The commission, however, did not recommend confirmation of Justice Tariq Iftikhar.